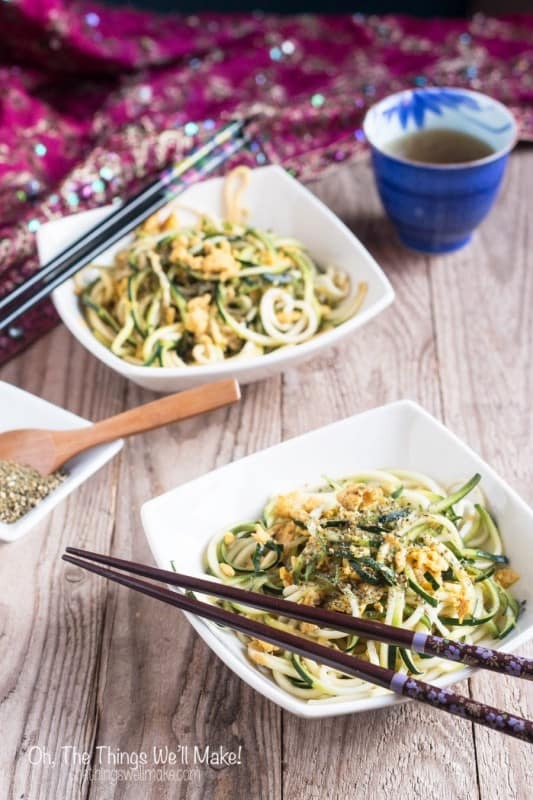 Recipe for Asian Fried Zucchini Noodles - Oh, The Things We'll Make! 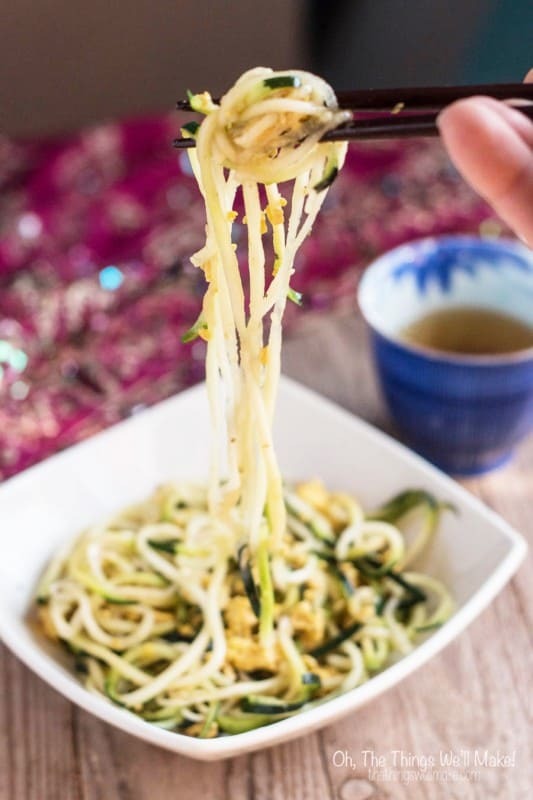 Asian fried Zucchini Noodles are a healthy, quick and easy meal or side dish that I love to make and eat! A few weeks ago, I bought a new kitchen gadget that I absolutely love, a vegetable spiralizer. I came across it by accident when I didn't really know much about them. After reading a number of reviews by people who had bought spiralizers for making things like zucchini noodles, and seeing they were thrilled with their purchases, I decided that I had to have one. I ended up ordering online through Amazon because I was pretty sure that I wouldn't be able to find something like that in stores around here. Here in Spain there aren't very many options available yet for these types of things. A few days later, it arrived, and I proceeded to try it with a piece of raw pumpkin from my garden. While it worked for spiralizing my pumpkin into noodles, I have to admit that it did take a little bit of force to do it. Considering how difficult cutting a pumpkin in half really is, it really did do much better than I expected. Since then, I have been using it with softer vegetables. I effortlessly spiraled beets from the garden for pickling and fermenting (future post idea?). I also spiralized kohlrabi for a cold salad. My favorite use for it so far, though, has been to turn zucchini (aka. 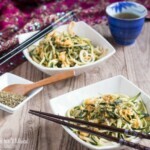 courgette) into zucchini noodles for asian style, grain-free, fried zucchini noodles. I like zucchini, but have to admit that I get bored eating them the same way all of the time. 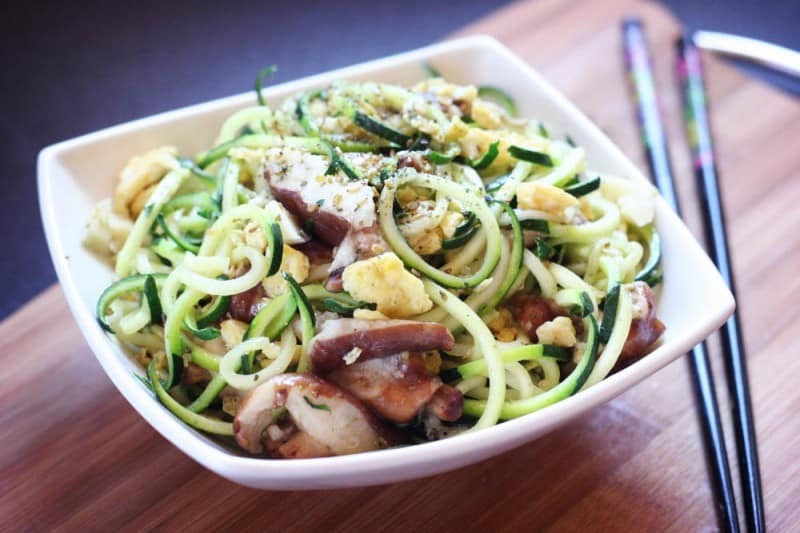 I haven't gotten tired of eating zucchini noodles yet, though! I've tried serving them several ways, but this is one of my favorites, and it helps me use up eggs from my hens. 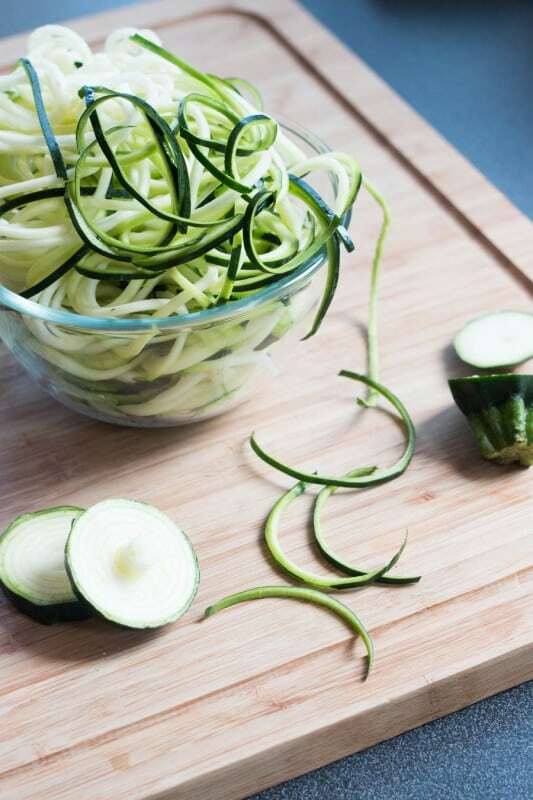 Spiralize your zucchini with a vegetable spiralizer. Fry the eggs in your preferred cooking oil. As they fry, break them up into small pieces with a spatula. If you want to add in other ingredients like mushrooms, fry them now. You can also add in previously cooked meats or shrimp at this point. I love adding in shiitake mushrooms. Add a little bit more oil, and add in your zucchini noodles with a dash of soy sauce. Fry at high heat for a minute our two, or to your preference in tenderness. Once you have removed your noodles from the heat, drizzle a little sesame oil on top for flavor. Sprinkle with some gomasio or toasted sesame seeds. I love using gomasio with seaweed as a garnish because it adds a wonderful flavor, color, and gives you the extra nutrients from the seaweed.